This is getting away from me…I’m making this a long and detailed write-up, which may be boring to many, but I do know when I first started crewing, I would have loved to have access to the kind of blogs and online resources that are available now, and any little information bit helped. Part A Details the Thursday and Friday before the ride prep through the first crewed vet check at Robinson Flat, 36 miles into the ride. THURSDAY was packing and prep day. 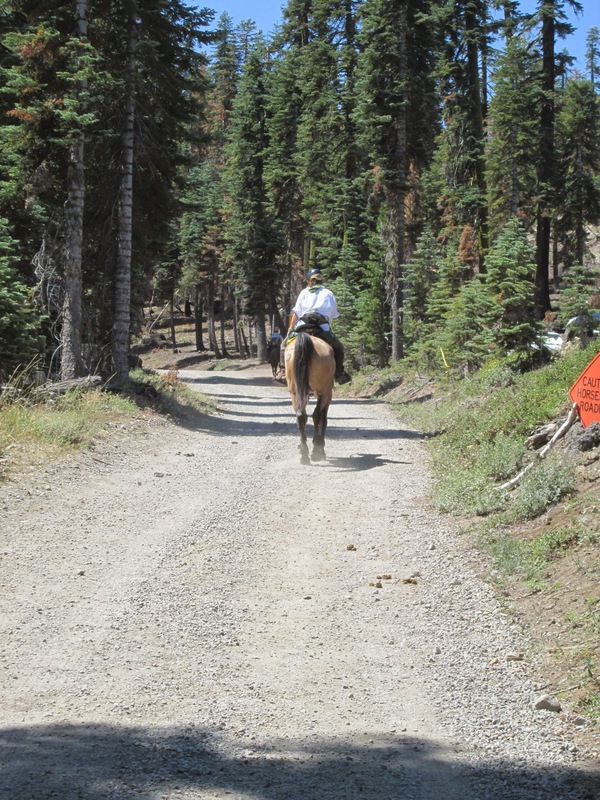 It was a fairly lazy morning – no riding, so we didn’t have to get an early start. Lucy is very good at making lists and crew instructions, and Kaity and I have both crewed for her before, so there wasn’t much new/different to go over. Lucy’s crew box was packed with all of the dry goods necessities for Robinson Flat (fleece blanket, spare spare boots, feed, brushes, electrolytes, syringes, spare tights for Lucy), buckets were sorted and counted, bins were filled with pellets and feed for Fergus, hay bags were stuffed, water jugs were filled, tack sorted. After getting the trailer ready to go, Kaity and I headed out to food shop. Lucy had a creative plan involving bento boxes for storing small amounts of a variety of foods in bite-size pieces that would hopefully be appealing on ride day, and we went armed with a list of food items to buy that would hopefully tempt our rider. From my memory, things that went in the boxes (some were a hit, some weren’t): small boiled potatoes, bites of lightly seasoned cooked chicken, mini chicken-apple sausages, melon (cantaloupe and watermelon), chocolate whipped yogurt, hard-boiled eggs, pasta salad, varieties of cheeses, lightly seasoned rice, and energy gummies, squeeze applesauces, and string cheese to re-stock Lucy’s saddle packs. Cook the pasta until desired doneness (some like it more mushy, some like it al dente…it will soften as it sits in the container, too) and drain. Place in mixing bowl and drizzle a tiny amount of olive oil on it and stir. This’ll help keep it from sticking together. Add the green onions and eggs and stir to combine. Add half the mayo and stir. Add small amounts of mayo until it reaches the desired taste/consistency. Salt/pepper to taste. Store in refrigerator/ice chest. 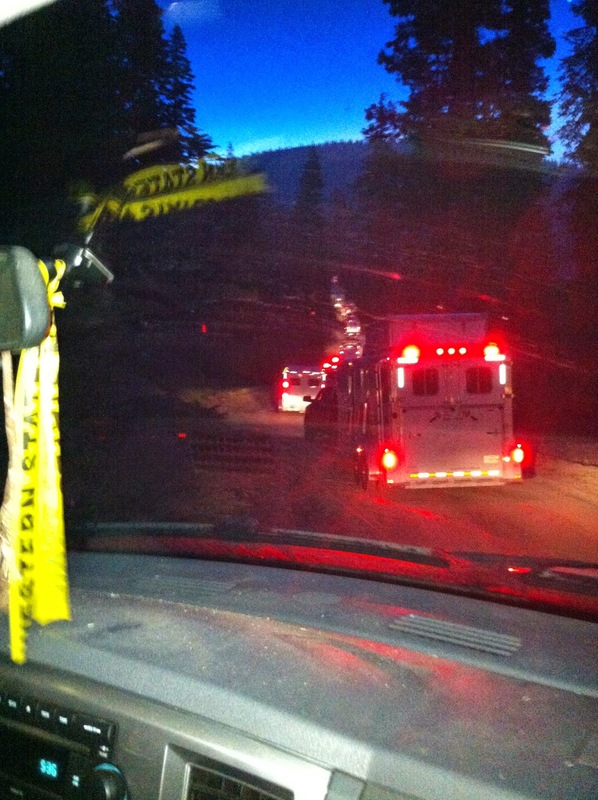 Fed one Tevis rider + two crew people for approximately 2 days. Thursday evening was dinner with friends – always fun to catch up with people I don’t get to see nearly enough, and outside of the immediate, more stressful environment of Tevis itself. FRIDAY was Departure Day. The plan was for Patrick and Lucy to drive the rig, and Kaity and I follow behind in Kaity’s truck, which was the designated crew vehicle. Food and drink coolers were packed and loaded, Fergus got a bath, clothes were packed, and we were on the road to Robie Park by noon. A couple of stops along the way for road snacks and gas, construction in the canyons, and being in the middle of a bubble of bad traffic with idiot drivers meant we didn’t actually catch up to the rig until Robie Park, but no matter…that was where catching up counted. We took Fergus back to the trailer to get his mane braided and to tack him up for Lucy to do a quick leg-stretcher pre-ride. While she rode, Kaity and I wandered around the vendor area. Not that I need anything…but it’s fun to browse. Friday dinner before briefing was a bit of a let-down…we had tickets ahead of time, but by the time we got there, they had run out of all food except salad. We got the dinner tickets back, and hopefully Lucy is able to get a refund…because I’m pretty sure the point of pre-selling tickets is to get an accurate count ahead of time and know how much food to have available. Fortunately, we had extra pasta, sauce, and sausages back at the trailer, so I was able to feed all of us after the ride meeting. 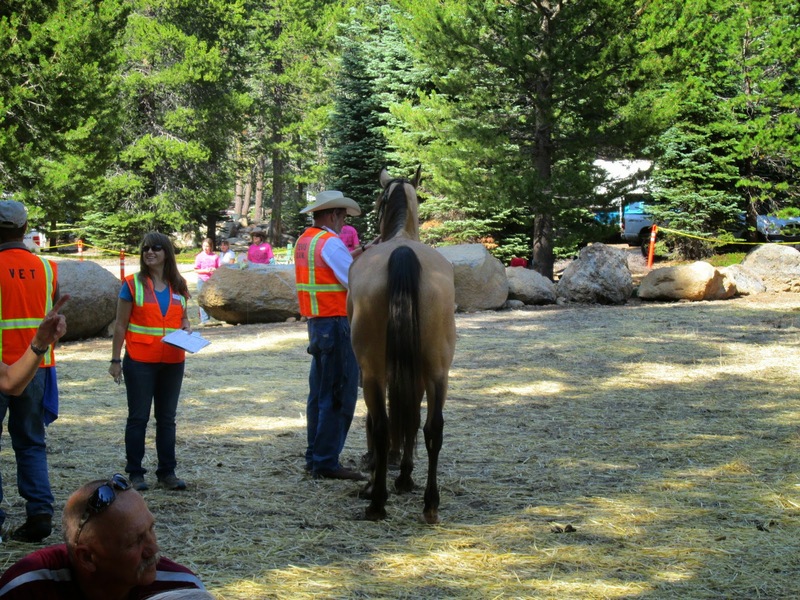 The Tevis ride briefing really is unlike any other ride briefing I’ve attended. I think because so much information is published and available ahead of time – the trail, the checkpoints, extensive rider and crew info – they don’t waste time reiterating it at the meeting. 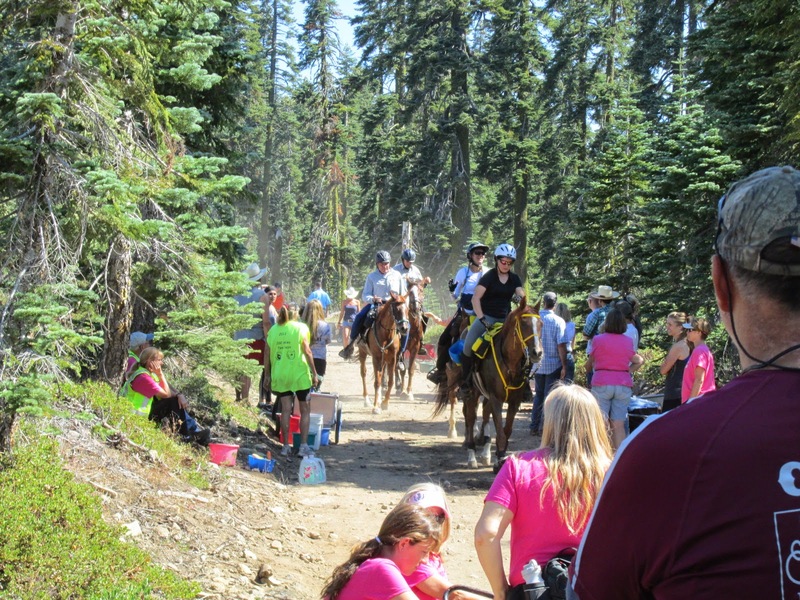 Tevis riders are a group of experienced people, so there’s not the need for extensive information and explanations as there would be for a local ride that might be drawing a larger crowd of riders new to endurance. Ride briefing also wraps up pretty fast, with enough daylight left to head back to the trailer. Lucy and Kaity worked on the final packing of her saddle packs while I put together dinner, then we all did a final run-through of what was to come while working through bowls of pasta and sausage. In an ideal world, we would probably all be in bed by 8:00 at night…but let’s face it: this is Tevis. It’s a whole weekend full of “far from ideal” circumstances, and yet, we manage. Bedtime was closer to the double-digits hours, but Kaity had pitched her tent, it wasn’t too cold out, and I know I slept soundly until the alarm went off at 3:30 Saturday morning. Kaity prepared coffee, I got Fergus a mash, then we stood around, sipping coffee and slipping Lucy bites of breakfast until it was time to saddle up Fergus. While Kaity took down camp, I walked with Lucy to her Pen 2 start. 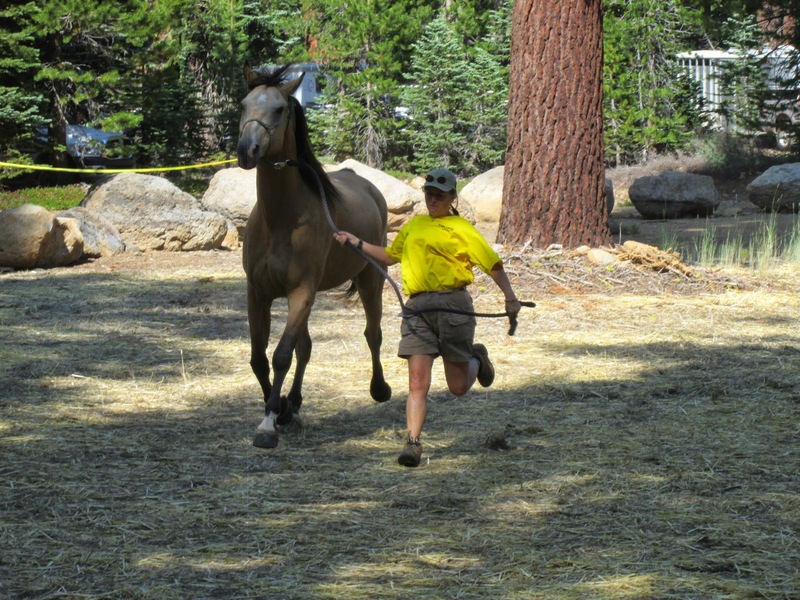 For those that aren’t familiar with it, Tevis utilizes a “pen” system: Pen 1 is basically the 60 or so horses who, based on their previous year’s ride record, qualify to be up towards the front because it’s likely they will be riding faster than someone who may be starting at the back of the pack and riding just to finish. In the last number of years they have been using this system, it seems to have helped with some of the start-line congestion, to get the faster-moving horses sorted out and at the front of the pack at the starting time. Everyone still starts at 5:15, the pen system just helps get everyone sorted before that time, on the road down to the official start, so you don’t have a bunch of front-runners trying to jostle up from the back of the pack immediately at the start. Everyone else who didn’t get selected for pen one is in pen two, and it isn’t mandatory – someone who wants to start at the very back, for example, can hang back at their trailer and leave a couple minutes later. Only rule is that everyone must be out of Robie Park by 5:30. So I walked – and half-jogged/half-stumbled in the dark after Fergus, following Lucy to pen two. My red headlamp also earned a “red light district” quip. Yeah, that’s right – endurance edition! At the entrance to pen one, I tightened Fergus’s girth, wished them a final good luck, told Lucy I would see her at Robinson, and told Fergus to take care of Lucy. I hung out off to the side, out of the way, until they released pen two to head down the road. Lucy got out in a good position – somewhere in the first third of the pen. After she was on her way, I headed back to the trailer, and Kaity, Patrick and I waiting until the magical 5:30 hour when vehicles could be started and moved – because the horses go down the road in and out of Robie Park to the start, no vehicle traffic is permitted until all horses are clear and on the trail. Our parking spot at Robie is a pretty good one (no, not telling where…) in that it allows a decent exit on Saturday morning. It’s a bit of a hike for anything in the registration/vetting/vendor area…but the leg stretching and walking exercise is good, right? We got what I suspect was a pretty big jump in traffic, and everyone was quite polite and reasonable this year. Last year, water bars had been recently installed on the forest road in to Robie, and it slowed down traffic big-time, and rigs had to basically crawl over them. This year, they were better bedded-in and much smoother to drive over. The conga line of trailers flowed really well, and it took us about half an hour to reach pavement. 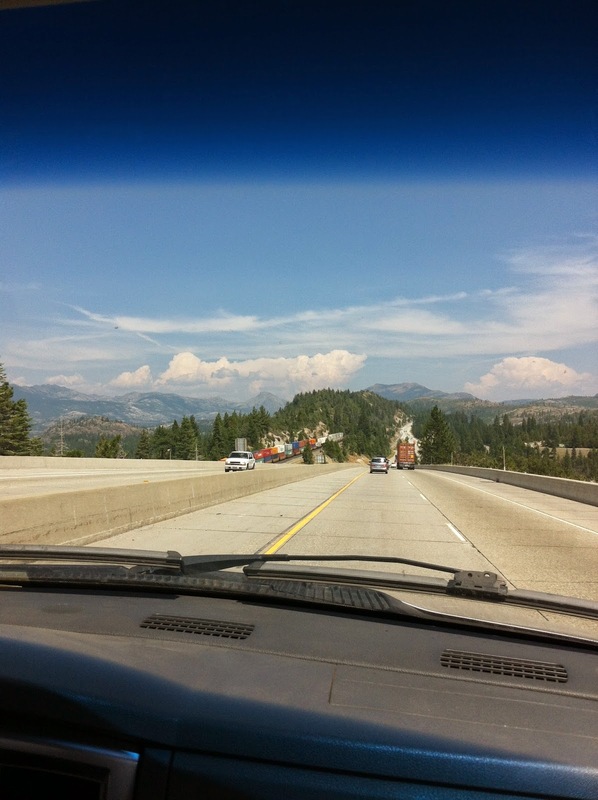 Once we hit pavement, it was smooth sailing all the way to the Foresthill exit. We grabbed food and McDonald’s to go, jumped back in the truck, and headed straight to Foresthill. 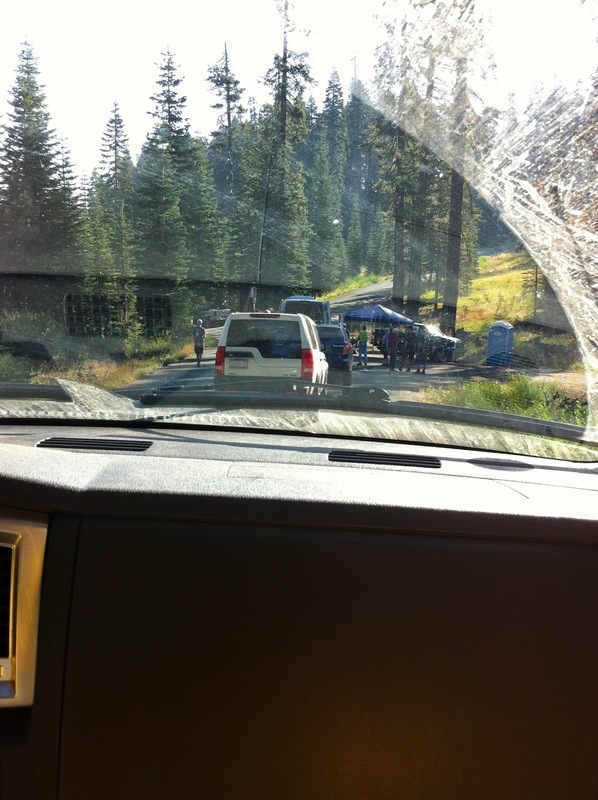 All of the crew gear had been packed in Kaity’s truck ahead of time, so we never even had to stop in Foresthill. Patrick would take the rig to Foresthill, park it, then head home on his motorbike (parked in the trailer) to check on the dogs before heading back to Foresthill later in the afternoon. They have started instituting a time cut-off for vehicles in to Robinson Flat – which made sense after I saw how they now let you drive straight into the check and dump your stuff of the road, versus before, when they would stop you at the entrance to the check, let you dump your stuff, and turn you around there on the road. Cut-off this year was 9:30 and we made it at 8:30. Once we were allowed up to the check, Kaity dropped me and the stuff, and while she parked the truck, I found a crew spot and started setting everything up. For those interested in what was hauled/set up, we used Lucy’s large hay cart (big and bulky, but fits lots of stuff). 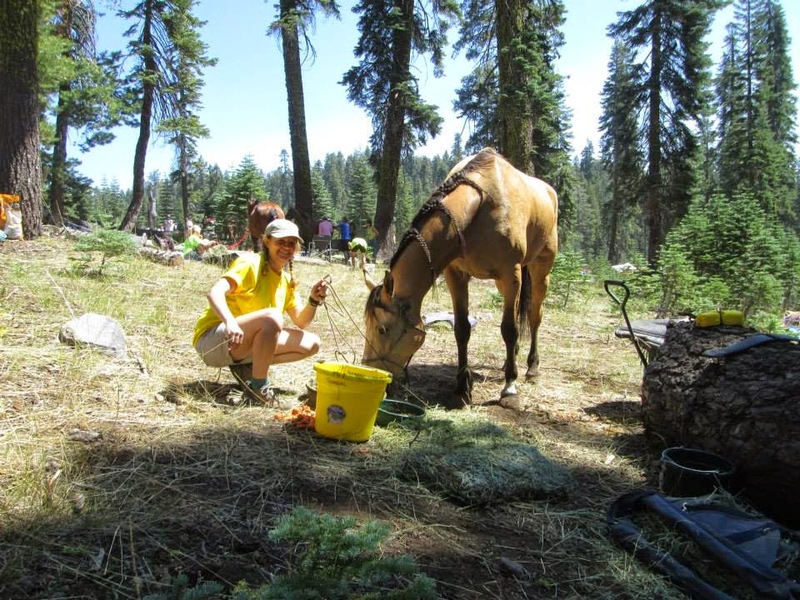 She utilizes a crew box to contain all of the smaller items (more spare boots, rasp, spare tights, sponge, horse food, extra people water, electrolytes, syringes, fleece blanket, stiff brush, carrots and apples, washcloth and neck cooler for Lucy), stack of buckets (one large, 5 small, one large feed pan, one small feed pan), medium-sized cooler, two folding chairs, gallon-sized jug of people water, and a hay bag with glass and alfalfa. They don’t open up the water truck until the first horses are already in – before then, you can use the hand pump at Robinson – so while I was waiting for that and for Kaity to return, I set up: large feed pan with Elk Grove Milling pellets and LMF Gold feed – water would be added to those closer to Fergus and Lucy’s ETA, small feed pan of same for F to eat in the vet line, flake of alfalfa, set crew box within easy reach, set cooler in shade, spread chairs out to save our space. 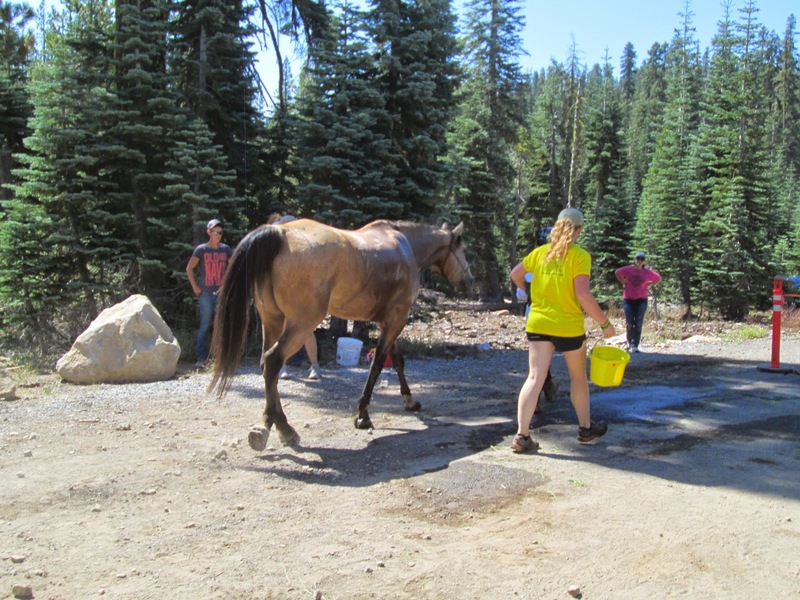 Once Kaity got back, we fetched buckets of water – large one for drinking, and three small ones (clean-up, horse feed soaking, extra) – and hauled them back. The large feed pan got started soaking, water was added to Lucy’s clean-up washcloth and neck cooler and those were placed in the shade to cool, and we prepped the cart (two small sponging buckets, sponge, pan of feed, part of a flake of alfalfa) to meet Lucy out on the road that riders come in on. I love watching riders come in to Robinson. 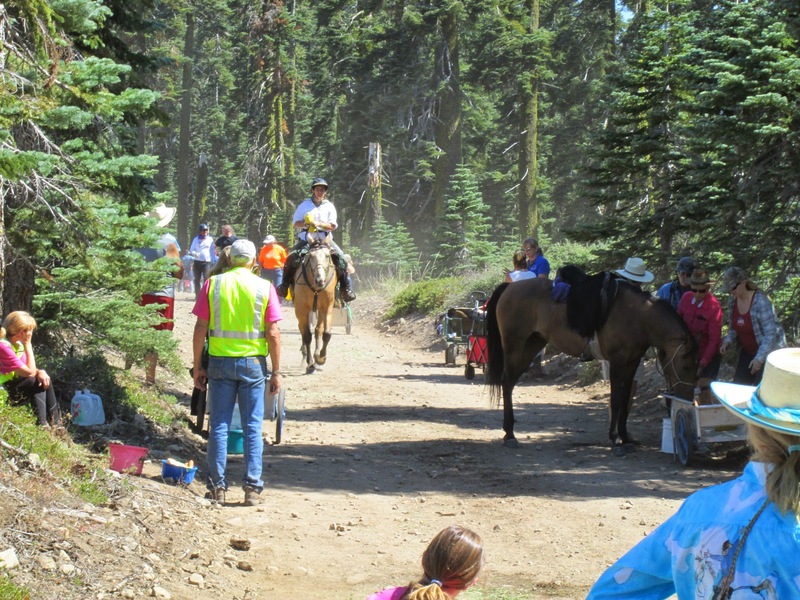 Normally endurance isn’t what one would consider a “spectator sport” but for those who are endurance riders, being at the Tevis vet checks can be some pretty good spectating. It’s organized chaos – and the degree of organization varies, depending on the number of crew people, experience level, advanced planning, etc. Lucy came in right on schedule, just after 11. Kaity started sponging while I stripped tack and Fergus munched alfalfa, then I trundled the cart and tack back to the crew spot while Kaity went with Lucy to pulse and vet. Since I wasn’t at the vet area, I didn’t see in person how it went, but everyone was smiling when they came back. I took over Fergus at that point – my job was to get as much food into his as possible during the hold. He’s a pretty good eater, but he’s so large (16.2 hh), his intake requirements are pretty significant, and it’s a constant game of catch-up during this ride trying to get enough food into him. He doesn’t make things any easier by being very distracted by other horses, so he basically needs someone at his head reminding him to keep eating. The only problem with crewing Fergus is tacking up – he is tall and I am short. As in, Fergus is actually taller than me. Consequently, it is usually a two-person job, with preferably the taller person (Kaity) doing things like checking to make sure the saddle pad is straight. 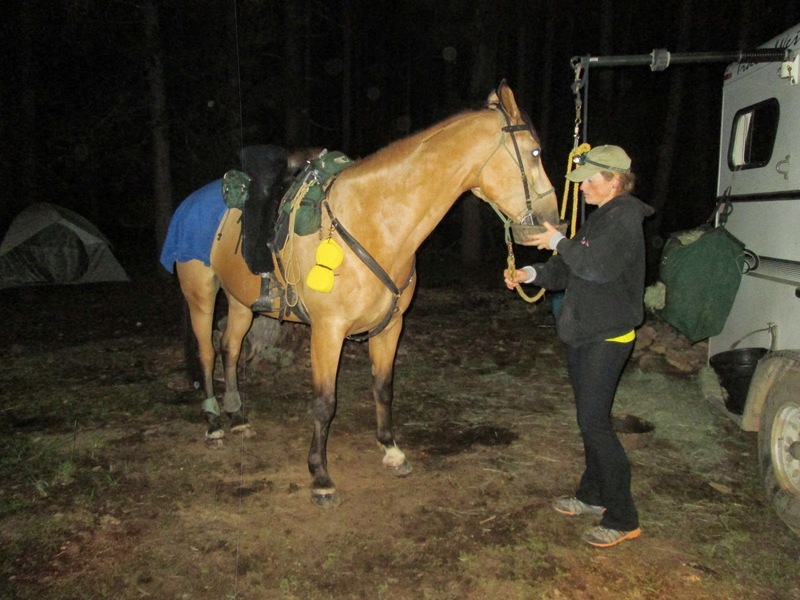 Once he was saddled and bridled and Lucy’s needs were all taken care of, we whisked them away to the out-timer and waved them off down the trail. 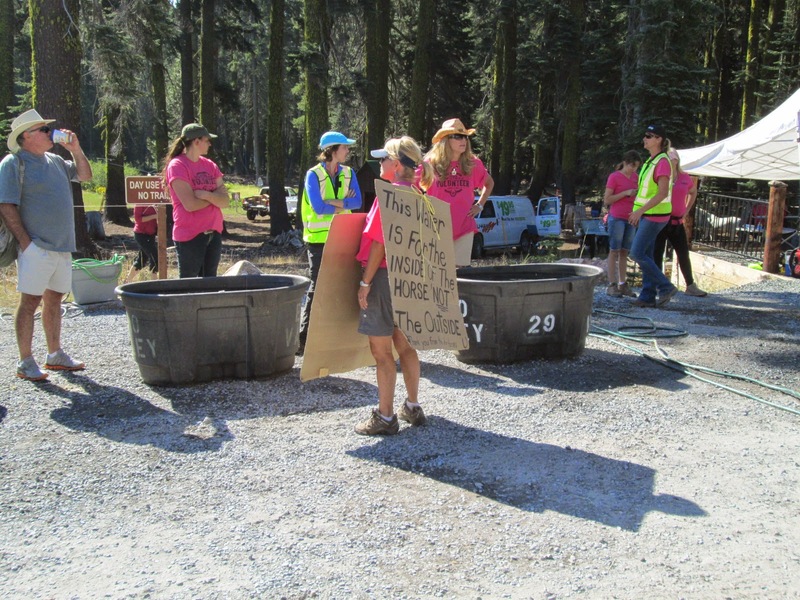 Once they left, we cleaned up the crew area, packed everything onto the cart, and headed back to the truck. 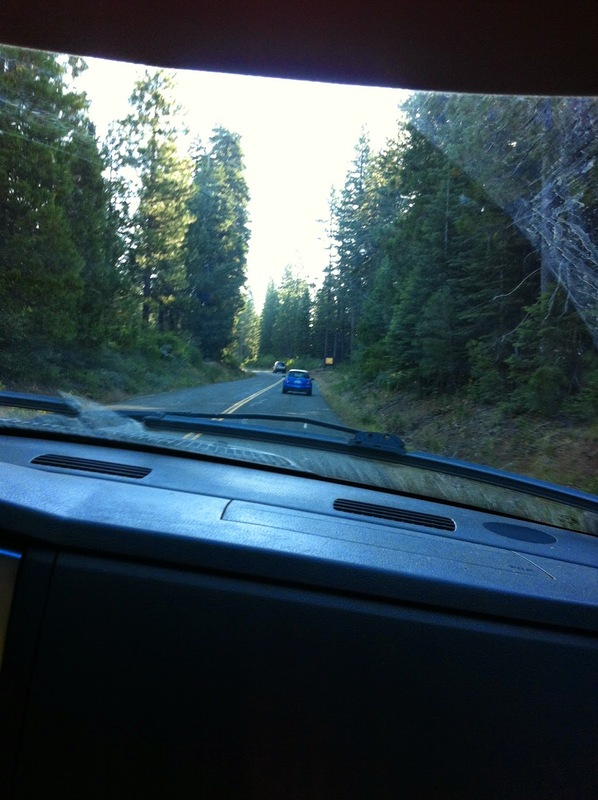 We were parked probably close to a mile down the road…but at least it was all downhill. I'm having so much fun following along on the adventure! Wow! You and Kaity sound like the best crew ever! And it's interesting to read about how crewing works for Tevis because my endurance experience has been limited to east coast OD rides, where many of the checks don't allow crew due to space limitations. Gail – you have no idea how good Ash and Kaity are as crew. It was all so seamless. At Tevis you can be totally paranoid about who touches your horse, let alone cares for him – let alone someone you can just hand him off to, knowing with full confidence that he's going to get better care than I'd give him when I was conscious. I never had to worry about a single thing – just ride the horse and do my job of getting him from A to B in good shape – stopping to shovel in mash along the way. I couldn't have asked for a single thing to have been done differently, and the fact that Fergus and I arrived at the other end looking as good as we did was a testament to what good care was taken of both of us. Could NOT have done it without them.